Since some of my family and friends who don’t have food allergies are also trying recipes from here, from now on I’ll include the baking times and any special instructions for normal baking too. There isn’t much difference between the two versions because I deliberately pick recipes that don’t require much change. For these cookies, you can use whatever citrus fruit you have on hand! Oranges, lemons, they’re all fine. 1. Preheat oven to 325°F and line two baking sheets with parchment paper or aluminum foil. Or, if you’re like my tipsy friend, with both! 2. Beat the butter and sugar together on medium speed in a mixer for 5 minutes. 3. Mix in the vanilla and citrus zest. 4. Mix in salt. Stir in the flour and cocoa powder, then beat for 2 minutes. The dough will be somewhat soft and sticky. If it’s too hard to work with, you can put it in the freezer for 10 minutes. 5. If you’re feeling fancy, you can roll out the dough between two sheets of parchment paper to 1/4-inch thickness and use cookie cutters to make nice shapes. I’m lazy, so I just shaped the dough into 1-inch balls and squashed them into circles. Regardless of how you get cookies, space them 1 inch apart on the baking sheets. 6. Bake for 15-20 minutes if gluten-free OR 13-15 minutes if not. 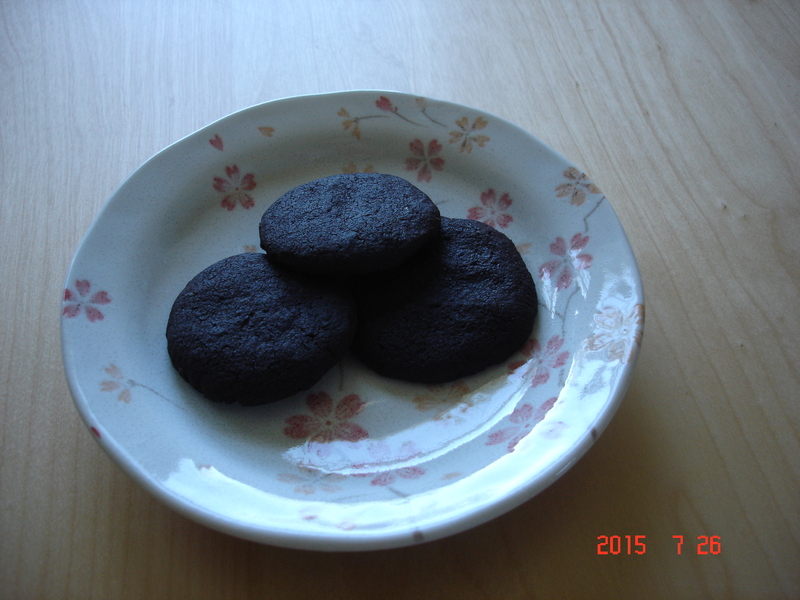 The cookies are done when the sides are slightly firm but still have some give when nudged with a fork. The center will be soft if poked, but the cookies will firm up as they cool.